Local coffee chain Java House has opened its 62nd outlet inside the United States International University (USIU) premises, the first branch within a learning institution. The firm revealed to the Business Daily that it usually invests Sh50 million to set up a new branch. However, it said capital injection towards express outlets like the one in USIU are much lower. “Java house invests an average of Sh50 million per branch, the USIU branch is a Java Express which has a lower investment level and a primary focus on coffee and grab and go items,” said Java House chief executive officer, Ken Kuguru. “Java House will continue to partner with innovative and leading institutions looking to deliver world-class offerings on coffee and food services,” he said yesterday. The USIU branch, which has been operational since October 11, will be launched officially next month. The restaurant’s operating hours will also be aligned with the university’s academic calendar. 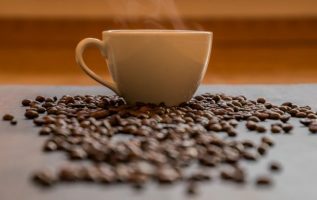 Java’s new owners have continued to aggressively expand and invest in new outlets across the country with plans to take the brand to new African countries in the medium-term. Dubai-based private equity firm, Abraaj Group, recently fully acquired the coffee chain, buying stakes held by founder Kevin Ashley and Washington-based Emerging Capital Partners in a multi-billion shilling deal. Abraaj said it expects the coffee house to continue benefitting from the tailwind of Africa’s rapidly expanding middle class, sustained population growth and increasing urbanisation.